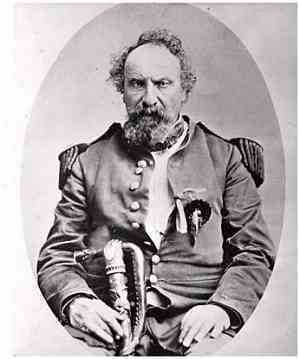 RAWIllumination.net: Joshua Norton: The movie! Jesse Walker, working hard to cover the Robert Anton Wilson beat at Reason magazine, posted on Friday to reveal that Columbia Pictures actually made a short movie about Norton, about nine minutes long. Jesse isn't guessing that the picture will replace "Casablanca" or "Citizen Kane" as your favorite old movie. "Let me warn you up front: This is a clumsily made movie with stilted acting and, in one scene, one of the most cringeworthy blackface performances you'll ever see. But there are moments when the acting is so far removed from natural behavior that it stops seeming bad and starts to feel like some strange David Lynch experiment. And surely there's something inspirational in the film's final line: 'He was insane, but—strange as it seems—honesty and sympathy won him an empire of voluntary subjects'." Jesse also links to the Emperor's Bridge Campaign.